People really do have short memories. 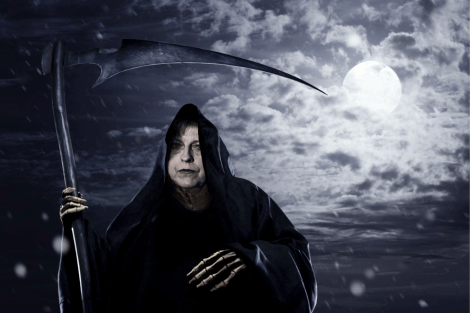 Prominent in some news media at the moment is a report in the British Medical Journal that health and social care spending cuts by the Conservatives in government since 2010 have led to 120,000 excess – read “needless” – deaths. “The squeeze on public finances since 2010 is linked to nearly 120,000 excess deaths in England, with the over 60s and care home residents bearing the brunt, reveals the first study of its kind, published in the online journal BMJ Open. “The critical factor in these figures may be changes in nurse numbers, say the researchers, who warn that there could be an additional toll of up to 100 deaths every day from now on in. “Between 2010 and 2014, the NHS in England has only had a real term annual increase in government funding of 1.3 per cent, despite rising patient demand and healthcare costs. “And real term spend on social care has fallen by 1.19 per cent every year during the same period, despite a significant projected increase in the numbers of over 85s–those most likely to need social care–from 1.6 million in 2015 to 1.8 million in 2020, say the researchers. “The spending restraints were associated with 45,368 excess deaths between 2010 and 2014 compared with equivalent trends before 2010. “Most of these deaths were among the over 60s and care home residents. And every £10 drop in spend per head on social care was associated with five extra care home deaths per 100,000 of the population, the analysis showed. “These associations remained after further detailed analysis and taking account of global and national economic factors. “Changes in the numbers of hospital and community nurses were the most salient factors in the associations found between spend and care home deaths. From 2001 to 2010 nurse numbers rose by an average of 1.61% every year, but from 2010 to 2014 rose by just 0.07%–20 times lower than in the previous decade. “On the basis of the trends between 2009 and 2014, the researchers estimate that an extra 152,141 people could die between 2015 and 2020, equivalent to nearly 100 extra deaths every day. That’s nearly 200,000 people likely to have died needlessly between 2010 and 2020, due to Tory cuts in social care, and affecting mostly people aged over 60 and care home residents. Those figures are bad enough – but we seem to have forgotten the deaths caused by the Department for Work and Pensions. Remember them? Back in 2015, when my Freedom of Information request about the number of sickness benefit claimants who had died was finally honoured, we discovered that 2,400 ESA claimants had died within two weeks of being found fit for work. That was the headline figure, but it didn’t tell the whole story because it referred only to a two-week period when the DWP recorded what happened to these people, and only to those who had been found fit for work. But we have a plethora of evidence that people have died after that two-week period, when the DWP had ceased monitoring their condition. This site has covered dozens – perhaps hundreds – of stories about such people. And consider this: The number of claimants of any kind of incapacity benefit who died between January 2011 and the end of February 2014 was 91,740. It’s true that many of these people may have been likely to die in any case, due to the seriousness of their health condition. But we know that the frequency of these deaths increased from 32 per day between January and November 2011, to 79.5 per day between January 2011 and February 2014. That’s a huge increase, for which no explanation has been put forward. Evidence that the DWP tried to withhold from its response to my FoI request showed that fewer claimants died after the DWP suspended its intrusive and stressful repeat assessments of claimants’ capability for work. The Work Capability Assessment itself caused a massive increase in mental health problems among benefit claimants who had to take it, leading to 590 suicides in a period covered by an Oxford University and Liverpool University report. And claimants of both ESA and PIP, who admit they have mental health problems during the assessment, are routinely asked why they have not committed suicide in a modern-day permutation of the practice known as “chequebook euthanasia”. Put all that together and the total – from deaths caused by austerity cuts in the Department of Health and just the sickness and disability component of the Department for Work and Pensions’ workload – must be a national scandal. Several commentators have pointed out that the deaths are concentrated among the old and the sick or disabled, and have questioned whether they are evidence of eugenics-based social engineering by Conservatives including David Cameron, Iain Duncan Smith and Theresa May. I seem to recall, in previous articles, comparing Tory austerity deaths to the “harrying of the north”, in which William the Conqueror’s forces killed around 100,000 people after he took the English throne in 1066. This now seems a pitifully low estimate. It’s time to be honest: UK austerity deaths are almost certainly causing one of the worst genocides in history. Your words are so true. How can those responsible for such unbelievable number of people dying be punished? I really do hope when Labour are in power those responsible will be sent to prison. You said the deaths were in England at the start of the article. By the end you said the deaths were in the UK. The NHS is separate in Scotland and although I can’t quote any figures for Scotland over the period in question I think you’ll find that they are not nearly so bad. The BMJ research refers to deaths in England; I then added DWP-related deaths which happened in all countries in the UK. I was, therefore, accurate. totally agree with what you write, they must carry some level of accountability which they do not, I am working some cases at the moment which for capita information due to the high quality answer received by them they are a going to get a dose of there own medicine with another tow of there experts having to endure what we regularly endure tribunals, the difference being they can lose there licence to practice, ask me if I care about that, no, do your job correctly and take note of all medical notes, drugs and professional statements in your reports and you won’t have a problem, zero score someone and ignore medical reports then you will simple, so go on doing it, we need to see more capita clones doing the Barham shuffle and attending tribunals, what will capita do when they run out of so called experts, they bring out there cleaner, after all 5 weeks of training to ask c an you handle a cup of coffee load a front loading washing machine and push a broom is the high quality questions they ask, perhaps we need a new fitness to work test for government have you lied, can you lie, do you have a offshore money account, will you be prepared to feature in a poster picture of a bus full of lies, can you laugh at people’s misfortune, could you spend hours talking loads of waffle to talk a bill down, answer yes to any of these then the tory wants you, we need new ministers as were loosing some by accident, answer no to any of these well the opposition may need you or you might consider are you in the right role. Sorry but can you even spell Rohingya, Myanmar, Rwanda, Bangladesh, Holocaust, East Timor, Generalplan Ost, Serbian Genocide or the Aardakh? This comment has to be a joke, right? They fell under ‘the more moderate’ John Major and after a slight rise when Tony Blair came to power, have since fallen again. Interestingly, the authors point out that although suicide rates tend to increase when unemployment is high, they were also above average during the 1950s when Britain “never had it so good,” but was ruled by the Conservative party. It’s absolutely shocking what this current government is doing to the people of this country. They are in power, they change laws to ensure that they can continue punishing those who actually pay through their taxes, their wages, the 1% (as they are known) do not contribute towards their over inflated wages, they avoid paying taxes so the “Lower Class” ends up paying more tax to support them. What the hell has gone wrong with the British way of life where we looked after each other? Why do people keep voting them back in? I’m saddened by everything that is happening in this country today, my great grandchildren are going to be growing up into a world where destitution is normal because those in power can and do whatever they like and everyone is so busy making ends meet they can’t change it. Where I live, people complain to each other about everything but never actually do anything about it, I’m fed up of trying, no one want’s to risk anything because everyone is living on a knife edge where those in power control all aspects of your life, Universal Credit is a prime example of keeping the masses under control. Rant over, but I could keep going on and on but no one actually listens because they are too busy putting a roof over their heads and food on the table and can’t afford to upset the apple cart. Why are we letting these corrupt and criminal politicians off the hook?